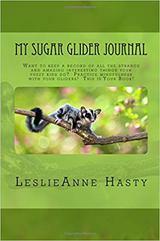 Different people find different ways to say thank you, and this wonderful lady is saying thank you to our rescue by publishing a book you can purchase and keep track of all your amaizng events you share with your sugar gliders. Thank you Leslie! This would also make a wonderful gift for the sugar glider "parent" in your life! 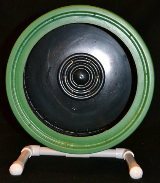 A safe, appropriate sized, exercise wheel that is truly silent. An easy to set up safe place for bonding and play time with your gliders. Visit Molly's Playhouse on Facebook, or contact directly for a variety of handmade items, including the City Pouch bonding pouch! Visit Lovely Sugar Stitches on Facebook or contact directly for a variety of handmade toys and cage sets. There are many sources out there for buying sleeping pouches, cage sets, bonding pouches, toys and other fun accessories for your sugar gliders. Here are a couple of our favorite vendors! Be sure to always monitor your items for safety. Loose threads, unraveling fabric, holes chewed in fabric or tabs, can all be unsafe in a sugar glider's environment. 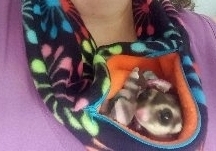 Check out Sugar Glider Joy! They sell wonderful, glider safe cage sets, accessories, bonding pouches, and the original Cozy Clip set. Their goal is glider safe products in every glider home! 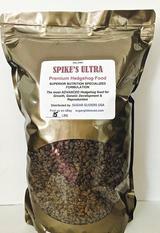 Spike's Ultra Premium Hedgehog food is designed specifically for pet hedgehogs. 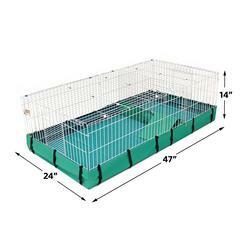 The Midwest Guinea Habitat system with the optional lid, is a good size for a pygmy hedgehog! The Carolina Storm Bucket Wheel is the best hedgehog safe wheel we have tried! 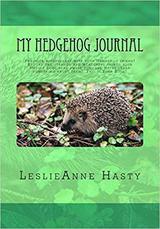 Different people find different ways to say thank you, and this wonderful lady is saying thank you to our rescue by publishing a book you can purchase and keep track of al your amazing events you share with your hedgehog! Thank you, Leslie! This would also make a wonderful gift for the hedgehog "parent" in your life!